Guide to driving the Alaska Highway from Mile 0 in Dawson Creek to the Alaska Border at Beaver Creek. In this section on the Alaska Highway we will look at the campgrounds along the Alcan Highway and many of the most interesting destinations that ought to be enjoyed on a trip over the Highway to the Last Frontier. Northern Lights RV Park in Dawson Creek, B.C. Description — Northern Lights RV Park is found resting on the bluff overlooking the city of Dawson Creek, BC. The majority of all sites are pull-through's. 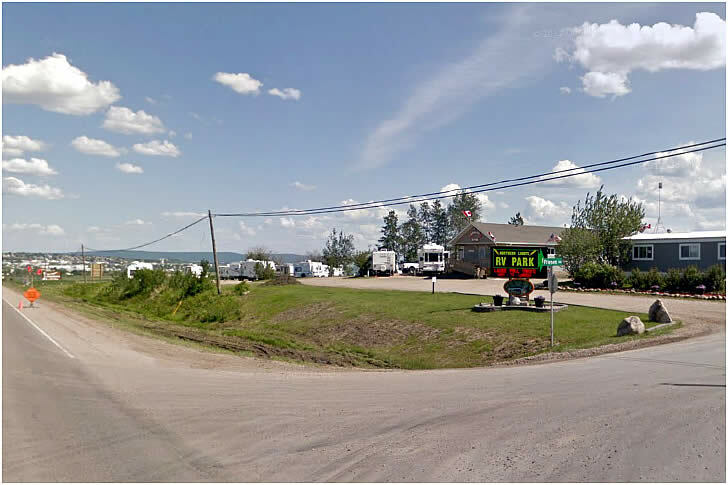 Northern Lights RV Park is located 1.5 km south of the Alaska Highway on Highway 97 south heading towards Prince George. Campgrounds at mile 0 on the Alaska Highway in Dawson Creek, B.C.